For courses in DC Circuits, AC Circuits, and Electronic Devices. Electronic Technology Fundamentals, 3e was written to fulfill the need to address the constant development of new applications and technologies within a single text that presents the fundamentals of electronics (dc circuits, ac circuits, and devices). This unique text provides complete and concise coverage of the fundamentals of electronics without redundant examples and the equation derivations that take up so much space in traditional books. With an emphasis on component and circuit operation, analysis, applications, and testing, this text thoroughly explores the foundation of dc circuits, ac circuits, discrete electronic devices and op-amps in a narrative that students can understand. Many of today’s basic electronics textbooks provide in-depth coverage of dc and ac circuits, but little more than introductory-level coverage of electronic devices and circuits. 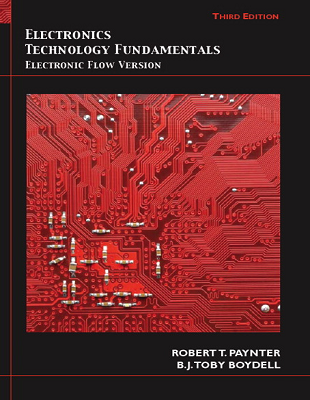 Unlike these books, Electronics Technology Fundamentals, 3e covers electronic devices and circuits as thoroughly as it does dc and ac circuits, making it the most comprehensive electronics fundamentals textbook on the market.